HONG KONG - GRE Alpha, an LED accessories innovator and manufacturer, will be partnering with Citizen Electronics Co., a COB LED manufacturer. This move marks a big step for the Hong Kong-based GRE Alpha, which extends not only its reach into the Japanese market, but will also allow both companies to market their jointly produced products around the world. "GRE Alpha's modular powering solutions approach enables users to quickly adopt and add functionality to their lights, where this was previously not possible," says Richard Fong, Director at GRE Alpha. "Citizen's COBs with GRE Alpha's LED drivers and lighting control modules gives users more control and flexibility in adopting various dimming systems, such as DALI, EnOcean and color tuning." GRE Alpha's modular approach, combined with Citizen Electronics' environmentally conscious approach to LED lighting, could result in greener, more effective lighting for the Japanese market and beyond. For example, GRE Alpha's patented Easy Install LED Driver could be paired with any of Citizen Electronics' COB Series High Intensity products. Furthermore, GRE Alpha's dimming modules could be paired with any of Citizen Electronics' LED offerings to create a dimmable, environmentally-friendly lighting solution. GREAlpha's dimming modules, the only ones with built-in wiring compartments, allow users to easily upgrade non- dimmable COB products into dimmable COB products that support TRIAC/ DALI/ DMX / wireless and more. When paired with products from the CITILED COB Series the end result produces luminous flux from a 10W incandescent bulb to a 300W mercury lamp in general lighting sources. SEL-20kA Surge Energy Protector - One of the most advanced surge protectors in the market, the SEL-20kA provides complete protection for lighting systems against lighting surges and provides both 20kV and 20kA protection in a compact form factor. TRIAC Phase dimmable LED drivers - GRE Alpha's AC line voltage dimmable LED drivers provide full range 0-100% flicker-free dimming and wide compatibility with various TRIAC/ELV dimmer switches and dimming systems. EnOcean Dimming module - GRE Alpha partners with EnOcean alliance to bring forth a host of IoT enabled wireless dimming modules that will allow a seamless upgrade of non-dimmable lighting systems to IoT enabled smart lighting systems that work with EnOcean wireless energy harvesting switches. EasyDim Kit - Easily upgrade and install cost effective dimming systems with GRE Alpha`s new EasyDim kits. Patented Easy-install LED Drivers -The patented, UL Listed Class 2, easy-install LED drivers eliminate the need for external junction boxes and can easily be daisy-chained, which saves valuable installation costs and time and makes lighting systems more reliable by reducing the number of connections. GRE Alpha is excited to showcase these top-of-the-line products in the Hall of Aurora, known for featuring top-notch brands around the globe and presenting sophisticated collections of lighting accessories and applications. Please visit www.hktdc.com for more information - or to register for - the biggest annual lighting event in Asia. For more information about GRE Alpha's products or to schedule a one-on-one appointment with an expert, please visit our Enquiries page. HONG KONG - GRE Alpha Electronics, Ltd., a designer and manufacturer of LED power supplies and systems, has added Arrow Electronics as an official distributor of their products. This marks GRE Alpha's fifth distribution outlet. 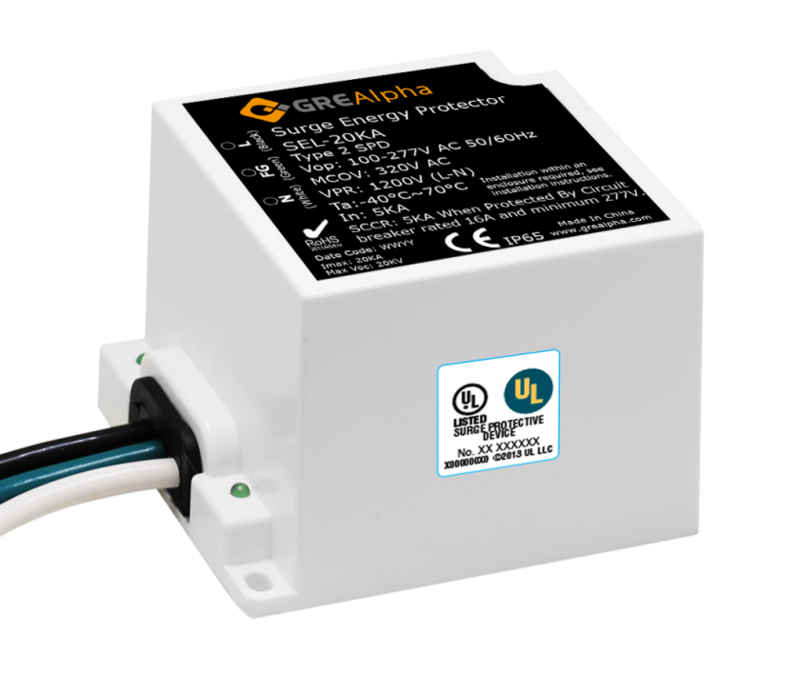 Founded in 2009 GRE Alpha focuses on an LED niche often neglected - modular design. 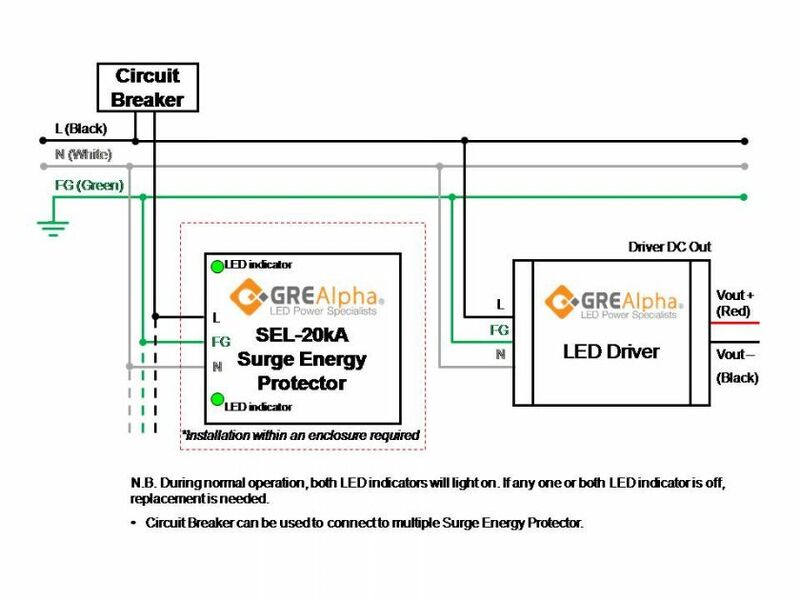 Unlike many LED driver and accessory manufacturers, GRE Alpha creates products that can be integrated into existing setups. This allows their products to be swapped out for newer models as they release, or to be replaced if damage occurs. "GRE Alpha's aim is to provide reliable, easy-to-install LED power solution to the LED lighting market," says Richard Fong, GRE Alpha's Executive Director. "With a flexible power platform, GRE Alpha's unique modular systems allows users to upgrade their existing lighting systems with various dimming options when needed without the hassle purchasing another LED driver, saving both costs and reducing SKUs." GRE Alpha doesn't just create LED components; they often provide help and information to those in need. For example, they recently addressed the dangers of power surges - something that can cause tremendous amounts of damage to LED lighting, drivers, and modules for businesses. They state their SEL-20kA Surge Energy Protector can help mitigate the damage from power surges. This product and more will be on display at Hong Kong's International Lighting Fair from Oct. 27-30, during which time GRE Alpha hopes to give attendees a firsthand look at the benefits of a modular approach. The Colorado-based Arrow Electronics has a global reach, with access to distribution in 29 countries. Since their founding in 1935, Arrow has focused on providing access to cutting-edge technology around the world. “Our partnership with Arrow will greatly enhance our product reach and will allow us to reduce our lead times and provide better on-time service to our clients worldwide,” Fong says. While based in Hong Kong, GRE Alpha aims to make their modular solutions available worldwide. With Arrow's 2016 sales coming in at $23.8 billion, GRE Alpha's goal of furthering their product reach looks to soon be a reality. GRE Alpha is committed to innovation and to delivering high-quality, leading-edge LED lighting solutions. For more information about products, or to speak with a GRE Alpha product expert, visit the enquiries page. LED lighting is known for its efficiency but even the most efficient light sources would be judged inadequate without high-quality optics. A compact fluorescent lamp, for example, can lose up to 70 percent of its light if paired with an inappropriate optic, says Nadarajah Narendran, director of research at the Lighting Research Center (LRC), in Troy, N.Y. Likewise, the touted efficacy of LEDs wouldn’t exist without the right optics. (archlighting.com) As efficiency and thermal performance in LED packages continue to improve, they pose design advantages. Fewer LEDs may be needed to satisfy light levels and optical distributions. This allows even greater flexibility in optical and mechanical design. This empowers lighting manufacturers to create lighting solutions tailored to meet the most demanding field requirements and yield maximum supply chain value. While luminaire designers are making tremendous leaps using technology, there are some practical considerations to keep in mind. Supplying power to these innovative light sources requires specialized LED drivers. LEDs are designed to run on low voltage (12-24V), direct current electricity. Conversely, the most common power supply is at a higher voltage (120-277V) using alternating current electricity. An LED driver rectifies this problem. Secondly, protection from voltage or current fluctuations come into play. Too much or too little current can cause light output to vary or degrade faster due to higher temperatures within the LED. Heat dissipation is and has been one of the primary challenges with LED technology. LED junction temperature must be kept below manufacturer specified levels to achieve long life. Luminaires with smaller form factors tend to have poorer thermal performance. This can lead to compromises such as a lowering the intensity of the light or sacrificing some longevity in favor of intensity. Updated energy codes require efficient, bilevel lighting. This tips the scale toward units that low in power and often offered with 0-10V dimming control standards. Greater energy savings are achieved through occupancy and daylight dimming controls. As digital light sources, LED lighting fixtures can be precisely controlled with dimmers, push-button devices, wireless touchscreens, smart phones or integrated into a structure’s IT system. Digital Multiplex (DMX) and Digital Addressable Lighting Interface (DALI) protocols have become widely adopted. While the initial priority focused on making commercial lighting more controllable, popularity has increased and it is now used in various applications, including hotel, restaurant, and residential settings. GRE Alpha has a wide array of products that elevate luminaire design. The GRE Alpha XLD 75 and XLD 200 both offer dual modes, giving you constant current and constant voltage options. Furthermore, both the output current and voltage are adjustable, letting you get the most optimal performance from your light fixtures. And as the only UL listed LED drivers on the market, you can use them to drastically reduce your approval times and agency approval costs. Both of these models are easy to install thanks to our patented enclosures, which simplify wiring requirements. Fast to install and capable of working in temperatures ranging from - 40°C to -60°C, both options will have users remotely controlling their lighting in no time, no matter the environment. The DALI Dimming Module and SLD-DIMTW Tunable White Dimming Module give users even more advanced customization and control of their lighting. Both capable of being incorporated into your existing LED drivers, these solutions offer customization with an extremely small form factor, high efficiency, and competitive cost. Easy to install and inexpensive, this simple upgrade can be implemented on new lighting projects, or retrofit to your older fixtures, enabling them to support industry standards like 0-10V, DALI, DMX, TRIAC, wireless and more. GRE Alpha is committed to innovation and to delivering high-quality, leading edge LED lighting solutions. For more information about LED drivers, dimming modules, and accessories, or to speak with a GRE Alpha product expert, visit the Enquiries page and fill out the Enquiry Form. Sign up for the GRE Alpha newsletter to stay up-to-date on new products and for early access to other GRE Alpha news.